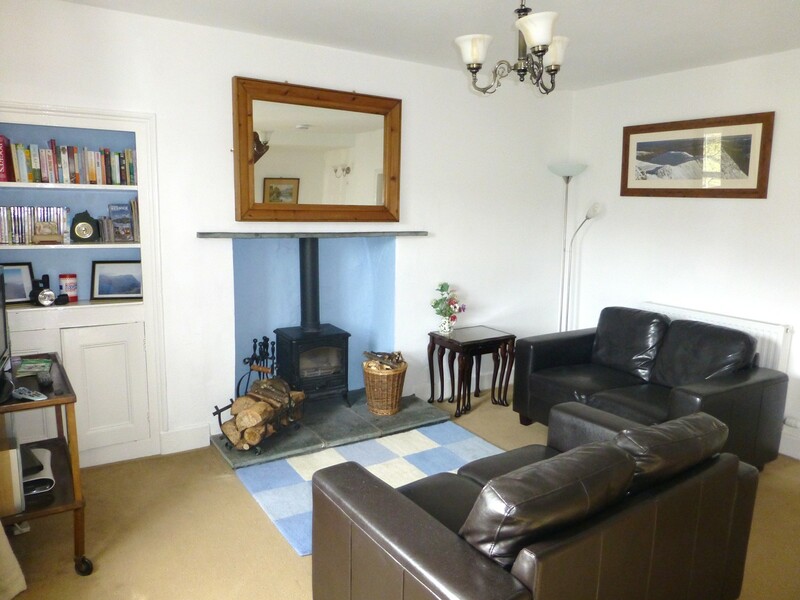 We’ve the lounge of 2 Helvellyn Cottage a mini-makeover, painting the fireplace and with a new brighter floor rug. 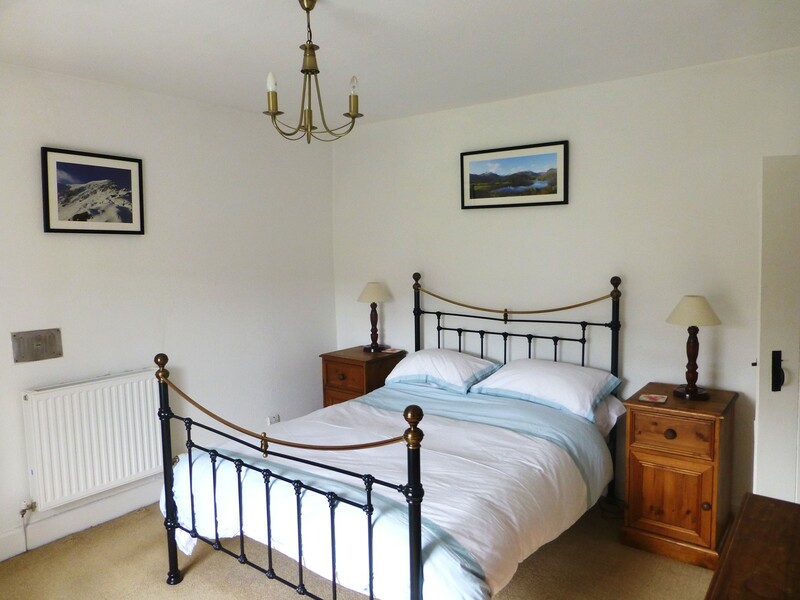 We have also added some of Rob’s photos to the walls of the main bedroom in 2 Helvellyn Cottage, including a lovely one of Morgan on Swirral Edge last November…. We also gave a fresh coat of paint to all the kitchens and bathrooms. 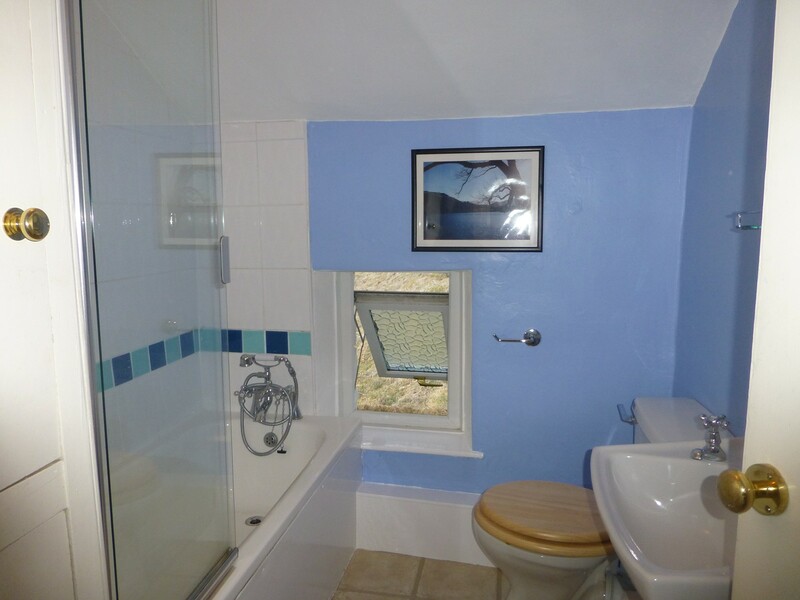 Not really worth showing a photo of them but just to prove we’ve done our best here’s one of Number 1’s bathroom! 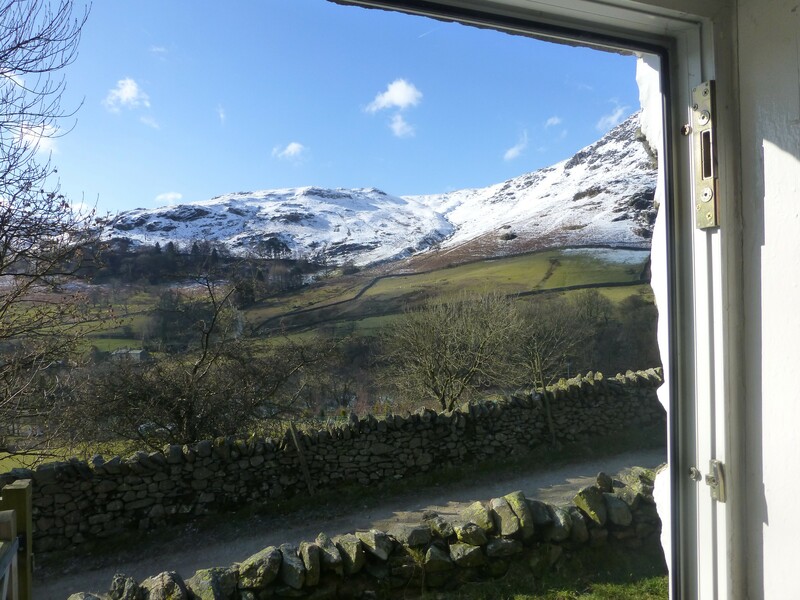 We did most of the work last week before the snow really came down hard at low level , and we had a few lovely blue sky days which meant we could enjoy the views for ourselves for a change! 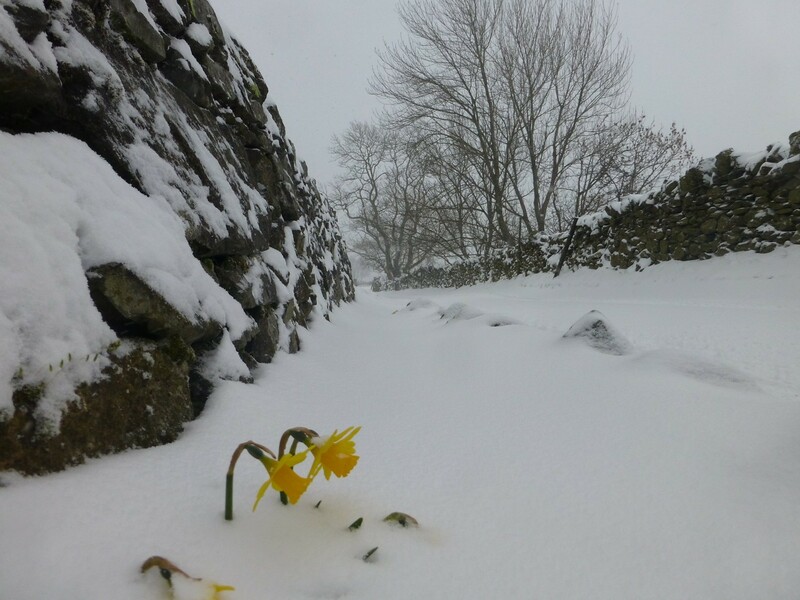 When the snow did arrive last Thursday night it came down hard and quick, and hasn’t really stopped since. 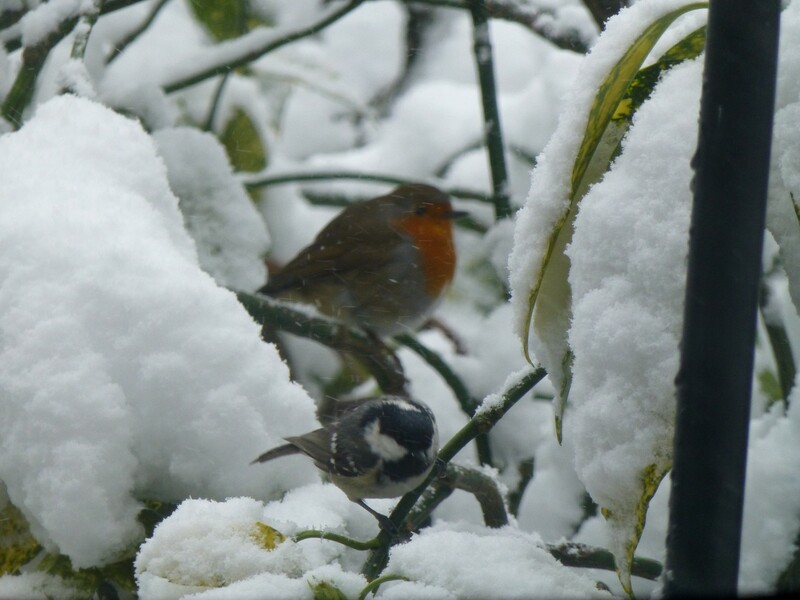 Here are a couple of photos taken last Friday morning…. 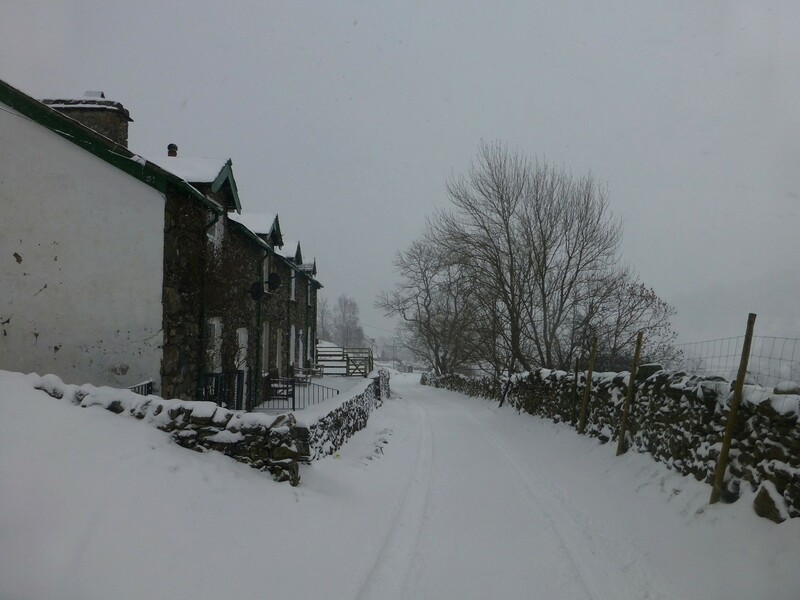 We also of course got plenty of snow down in Patterdale at The How…. 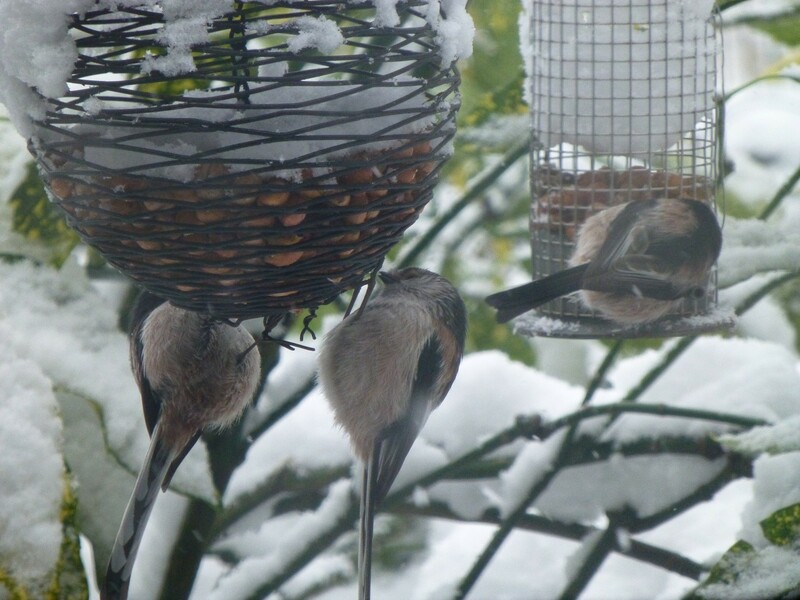 And the bird feeders in the garden of The How were working overtime that morning…. 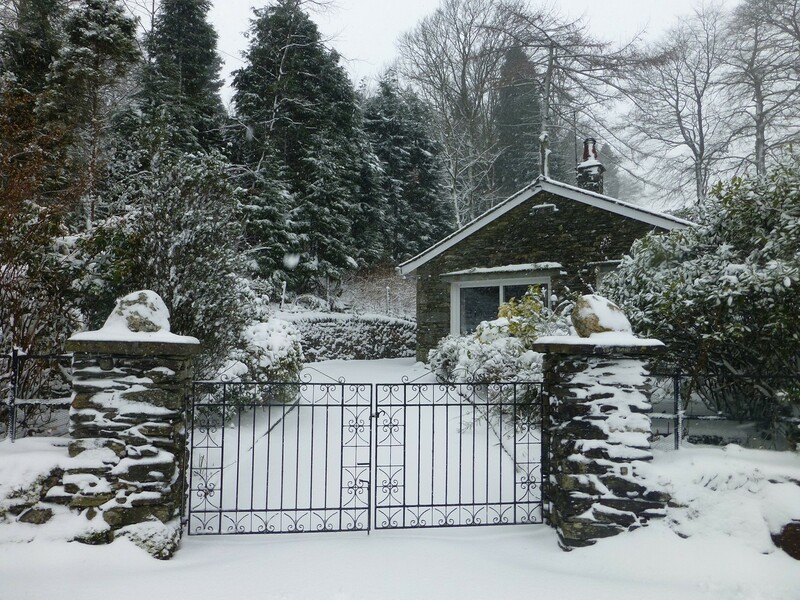 If you’d like any more information on any of the cottages then please click the links on the right or contact us. 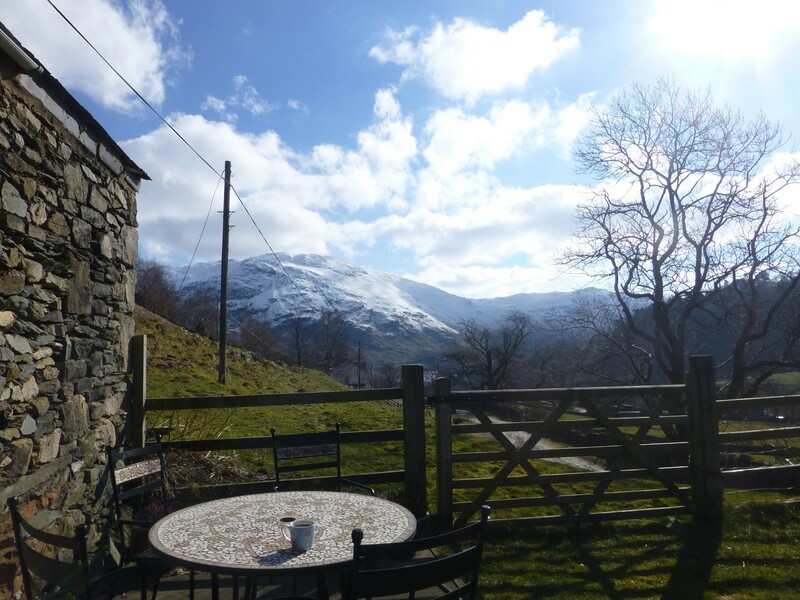 Please note we still have some availability over the Easter Holidays in our Lake District Cottages. 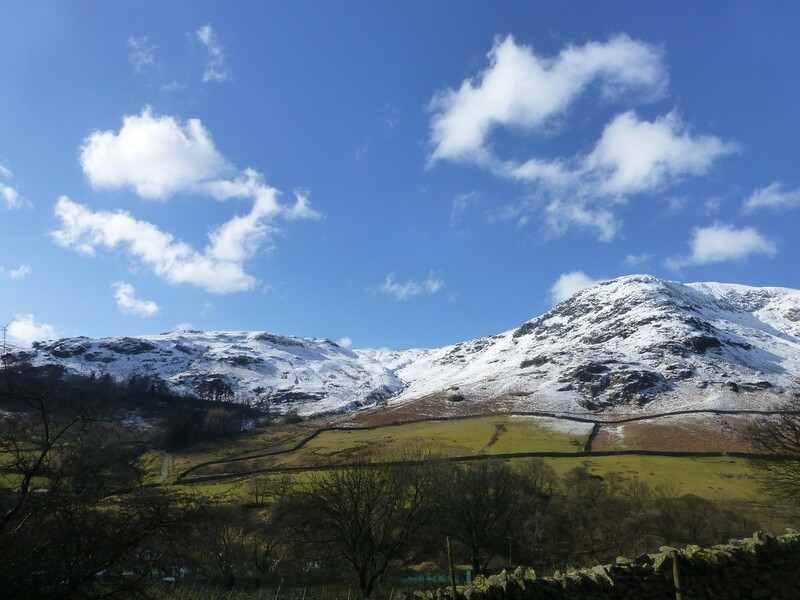 This entry was posted in News and tagged Accommodation, Cumbria, Easter Breaks, Lake District, Lake District Cottages, Pet Friendly Cottages, Self Catering, snow, Ullswater Cottages. Bookmark the permalink.